"This was my Grandmother's recipe. 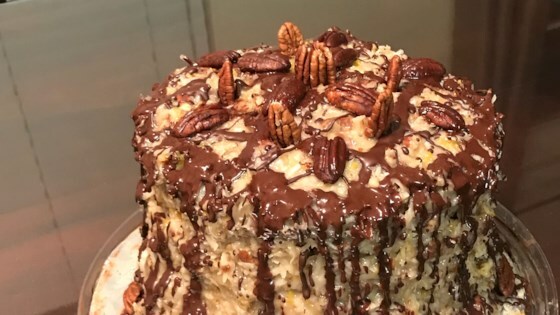 It's the classic cake made with sweet chocolate and frosted with a luscious coconut pecan frosting." This was easy to make and oh so tasty. I had a hard time keeping my hubby away from the frosting. I made this cake and it was a huge hit! It is now a regular favorite in our family.